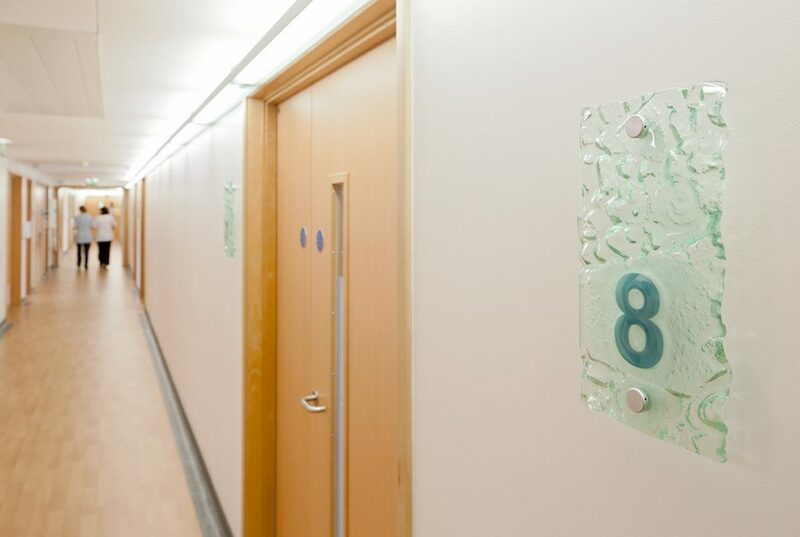 This £2.3 million refurbishment and extension scheme’s aim was to breathe new life into the existing circa 1970’s building, introducing en-suites to all ward rooms and improving the spatial standards around each patient bed. 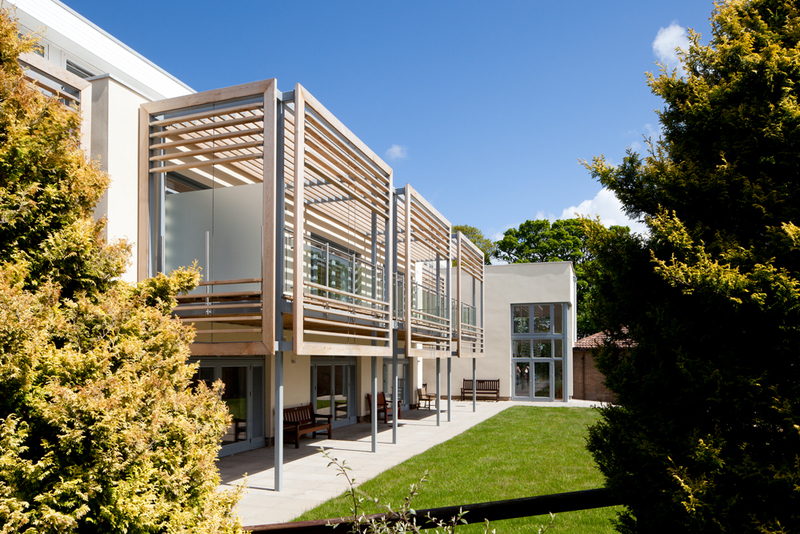 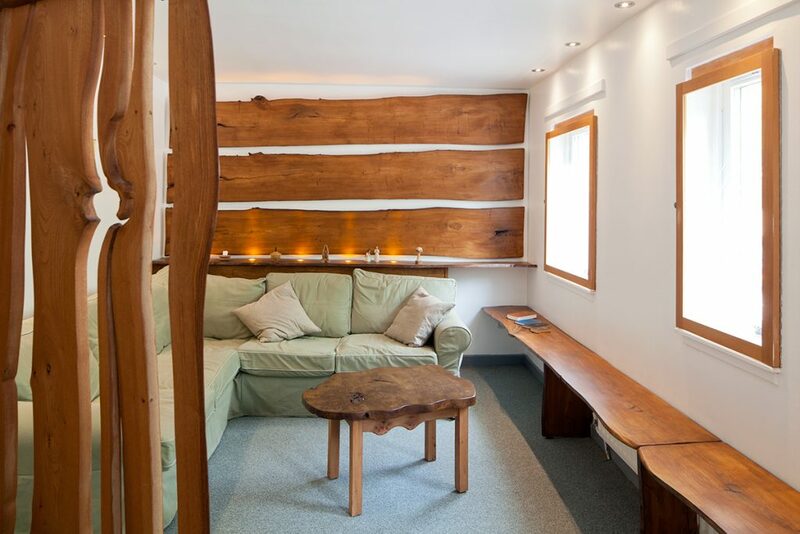 This was achieved by the addition of a south facing extension to the existing facade, increasing the internal area to accommodate en-suite ‘pods’ to the patient bedrooms. 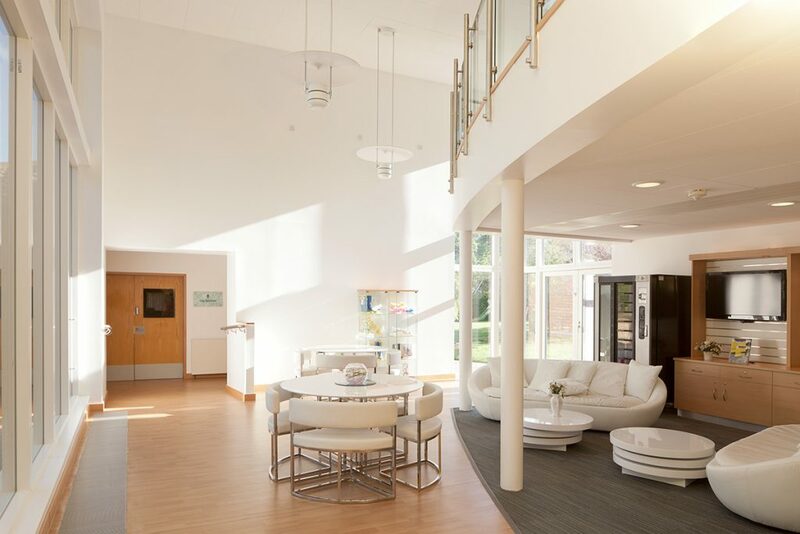 A two storey foyer/lounge was also inserted between the existing Adult Unit and Day Services buildings, to act as the ‘new face’ of the building. 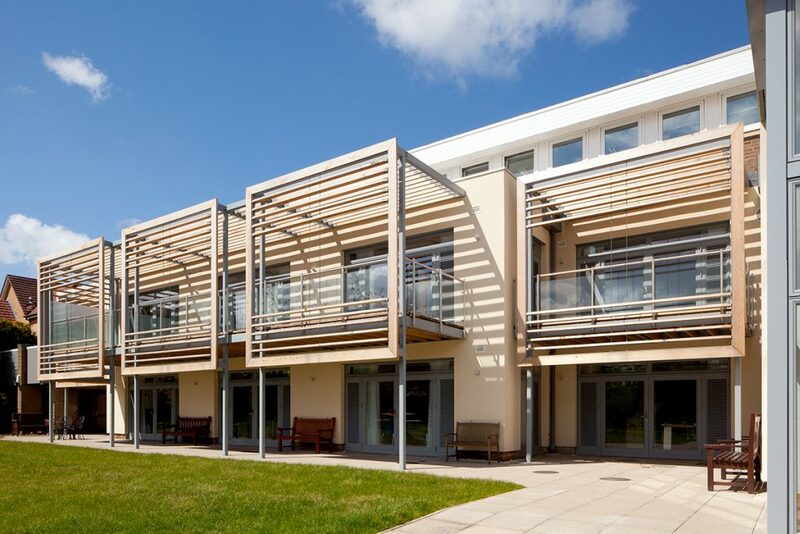 A key aim of the design was to create a bright and welcoming environment for users, introducing natural passive ventilation and light where possible. 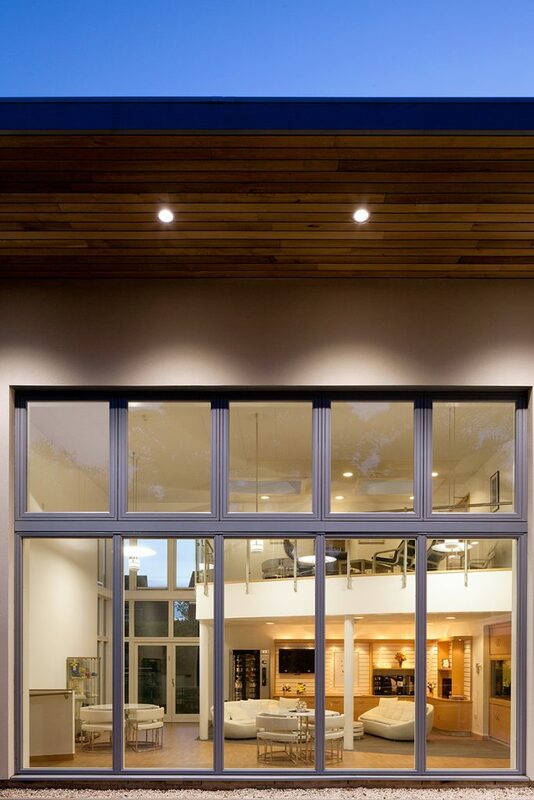 Existing fenestration was replaced by full height glazing, including patio doors with side louvre vents. 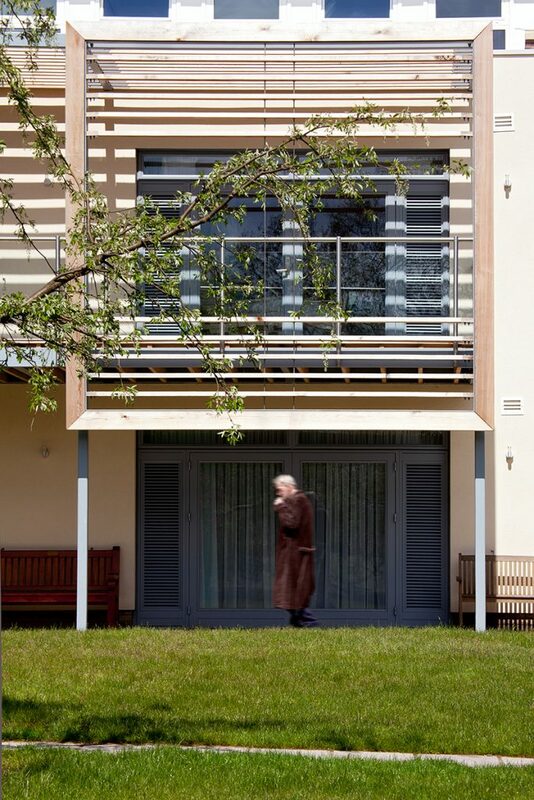 The bedrooms are protected from solar gain by introducing a secondary balcony structure fitted with external cedar louvre. 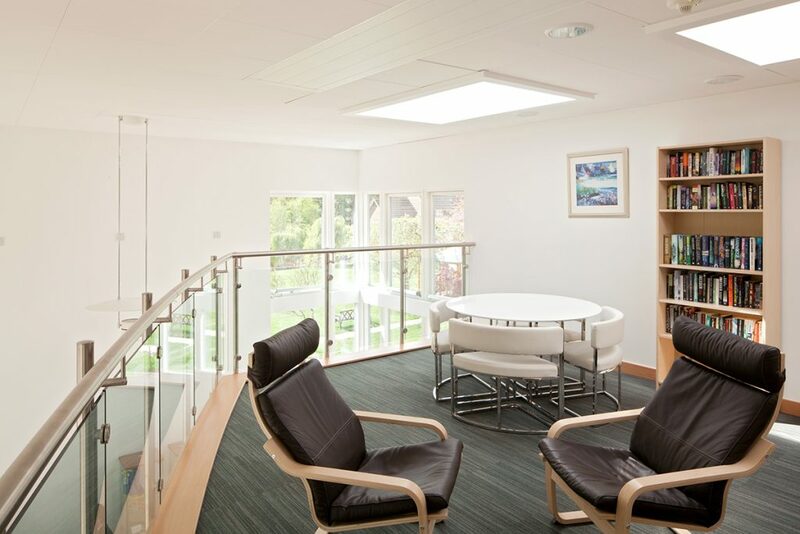 The new refurbishment offers patients a view of the ‘outside world’ to avoid feelings of isolation and the ‘light and airy’ interior provides a calming influence. 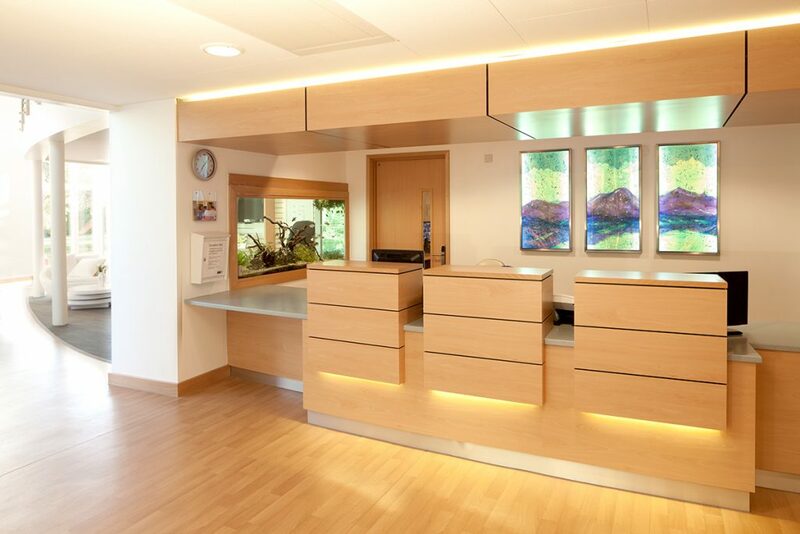 The design aims to make the environment feel as non-institutional as possible and more a kin to a spa hotel, accommodating current patient and family expectations. 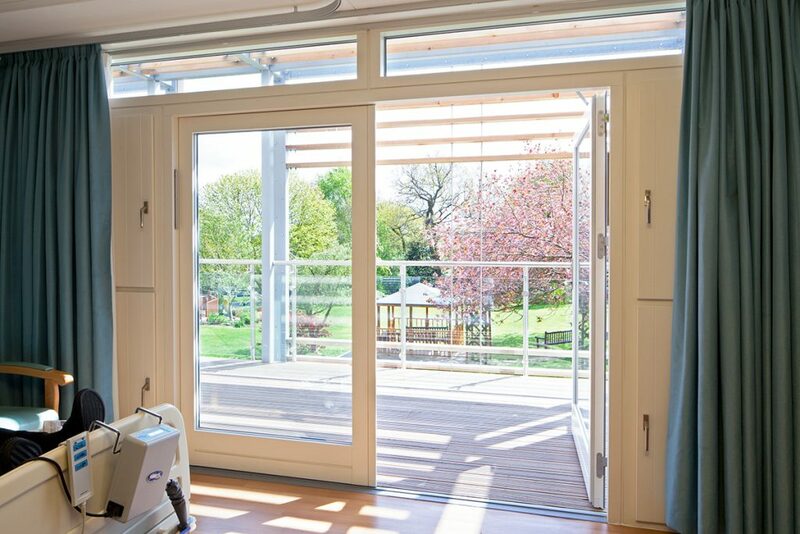 Ventilation and lighting have been designed around the patient and user, making them very much in control of their own environment.